1. Use your poncho as a statement piece. 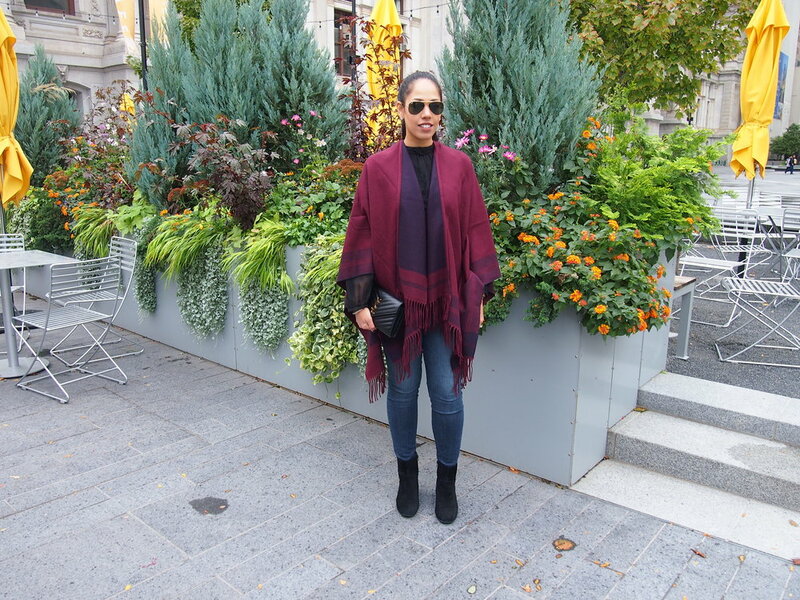 I like to pair neutral colors with my poncho so that the poncho becomes the focus of an outfit. 2. Ponchos are great for layering. I usually choose garments underneath that are form fitting so that the poncho doesn't make the outfit look frumpy. I usually pair my ponchos with a long sleeve shirt, skinny jeans, and booties. 3. Don't be afraid to have fun with it! 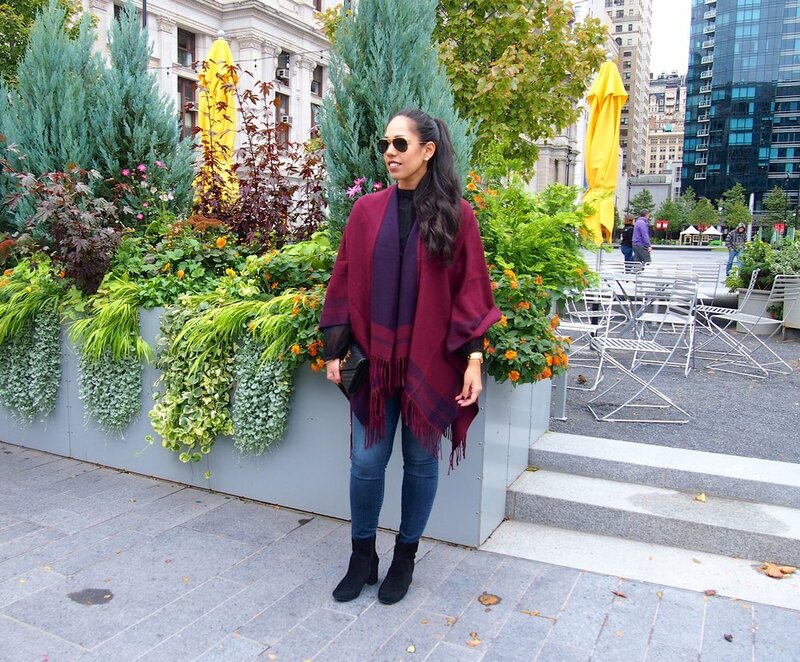 Pair your poncho with skinny jeans, leggings, shorts, skirts, dresses - anything goes!